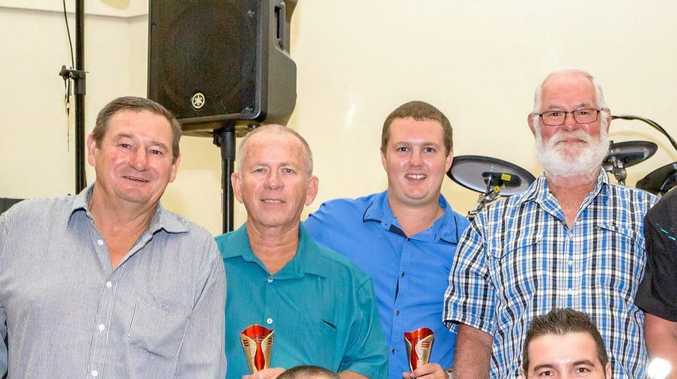 Darts: The Jockey Nutcrackers kept their crown and extended their winning streak in the Gympie District Darts Association grand finals last week, beating the Empire Flyers 7-3. Captain Tyson Hillcoat pulled out his best game of the year to set the Nutcrackers up for their incredible 10th grand final victory. The Flyers came on firing and were up 2-0 but were unable to maintain the momentum. "We fought back to make it 3-3 and going into the singles was the difference for us,” GDDA president and Nutcrackers player Kerry Treichel said. Team stalwart John Groves gave another champion performance. "John had a sore back and we thought he might not even play,” Treichel said. Is longest winning streak in Gympie history about to end? The Nutcrackers' great run home began with captain Tyson Hillcoat. When Hillcoat beat Troy Ashton, the game's momentum shifted. "Once Tyson beat Troy it looked as through we were getting home again,” Treichel said. It was a nail-biter in the division 2 grand final with Railway Riff Raff 7 defeating Underdogs 6. 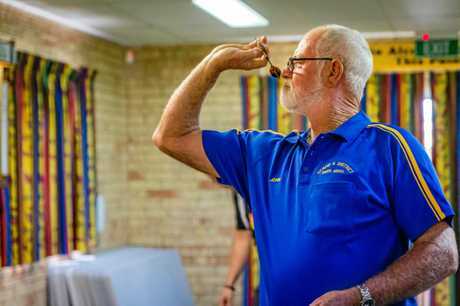 Gold City Darts grand finals were held last night. Results in tomorrow's The Gympie Times.